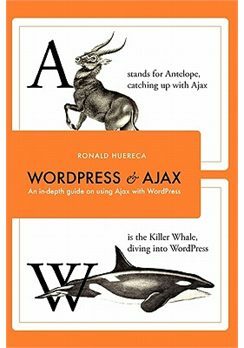 The WordPress and Ajax e-book is a comprehensive view on using Ajax with WordPress. It covers Ajax like you've never seen before. The book contains three real-life examples that provide the rationale and logic behind coding decisions, the reasons for Ajax's use, and the steps from inception to completion of the examples. Example 1: WP Grins Lite - We take a common and popular plugin and convert it to use Ajax for the loading of the smilies. Example 2: Static Random Posts - We take a common widget and add an Ajax function to it. This example will not only teach you how to create a widget, but also an admin panel, and Ajax functionality. Example 3: Ajax Registration Form - We take an ordinary registration form and perform data validation on it using Ajax.